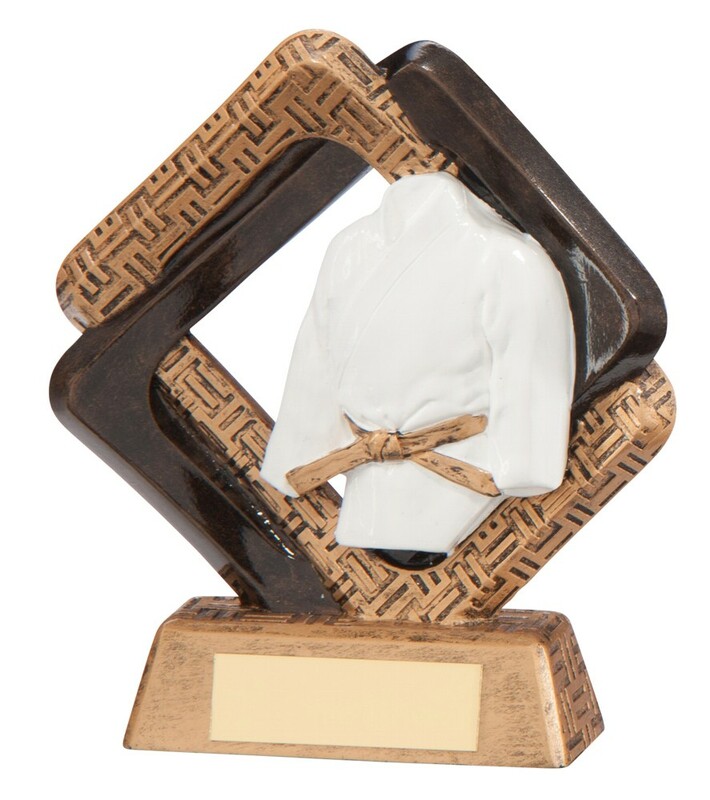 Resin Sporting Unity Martial Arts/Karate Trophy. Available in 3 sizes, 135mm, 165mm and 195mm high. Gold with antique bronze and white detail. A very popular award.